Patrick van Aanholt moved from the PSV youth academy to the Chelsea youth academy. He just made his first team début for Coventry City in the 2009-10 season. He was send on loan at the Sky Blues in the 2009-10 season until the end of December 2009. After a successful loan period, he returned to London as member of the first team. At the end of January 2010, he was send on another loan trip. In the month February he played for Newcastle United. In his first official match for the Magpies against Leicester, Van Aanholt became man of the match immediately. In the season 2010-11 he was send on loan at Leicester City in January 2011. Chelsea kept enough faith in the player to offer him an extension until June 2015. 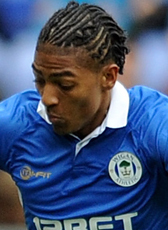 Just before the closing of the summer transfer window, Van Aanholt was send on loan to Wigan Athletic for the 2011-12 season. With just a few subsititutions Chelsea decided to get the defender back to London in January 2012. In January 2012 Dutch club Vitesse Arnhem announced the signing of Van Aanholt for the rest of the season on a loan deal. In summer 2012 the deal was extended for the 2012-13 season. His loan stay at Vitesse was extended with another season in July 2013. In July 2014 he returned to Chelsea looking for new playing opportunities. At the end of the month a contract for four seasons was offered by Sunderland and Van Aanholt left Chelsea on a permanent deal. The youngster was for 7 seasons under contract in London. In January 2017 the highly rated defender moved to Crystal Palace. His transfer fee was around 10,5ME and Van Aanholt signed a contract until June 2021.